Had to share a photo of Sky with the first-fruits of his garden. 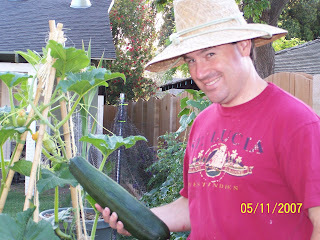 actually, it's a zucchini...but I don't know any songs about dancing zucchini. This particular zucchini, we chopped up, dipped in batter and fried. Y'all, it's a good thing.